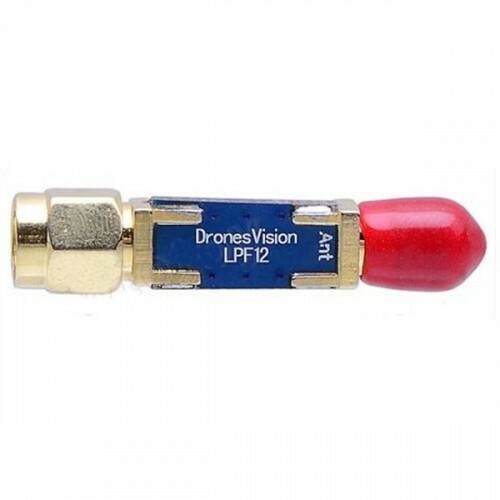 1.4G low-pass filter exclusive for FPV use, it can effectively reduce 2.4G device interference (2.4g remote control receiver), increasing control distance! Installing it on 1.2G system, it can greatly decrease the interference (above 1.4G), especially for 2.4G remote control receiver. Experience proved that it can reduce GPS interference, Lawmate 1.2G 1W VTx, the distance between antenna and fight controller is 5mm, can get 10 satellites. Transmission range may be reduced slightly using filter. 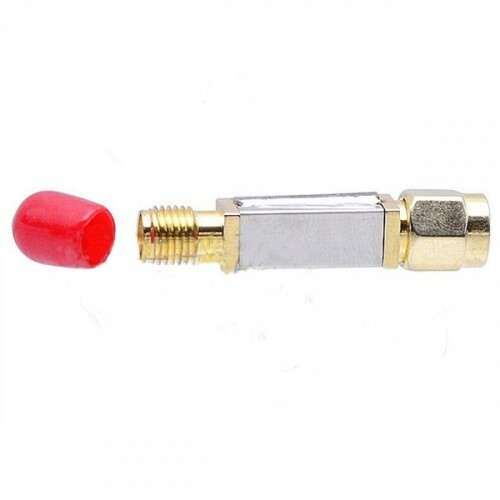 2: Gold-plated SMA connector on both sides of (for SMA female head, external thread hole; on the other side for the SMA male head - internal thread needle), double-sided circuit board design, high mechanical strength, stable performance. 3: Good passband ripple coefficient and capacity restraint outside the band. 4: Unique shielding design, beautiful and practical. 5: Imported patch components, durable, zero failure rate. 6. Frequency can be customized to low pass LPF-1200MHz, LPF-1300MHz, LPF-1380MHz, LPF-1400MHz..